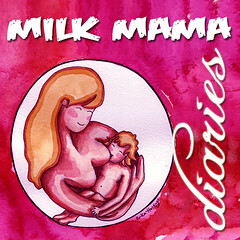 The following blurb must be included in your carnival entry as well as the Milk Mama Diaries logo: "Welcome to the Milk Mama Diaries Carnival (September). For this month, we will tackle milk sharing and how it can nurture the community, and how this spirit of giving can be sustained. Participants will share their thoughts, experiences, hopes and suggestions on the topic. Please scroll down to the end of the post to see the list of carnival entries." If you don't have a blog but would like to join, please email us so we can arrange to have you hosted as a guest blogger in our blogs: Jenny (jenny[at]chroniclesofanursingmom[dot]com) and Mec (delisyus[at]gmail[dot]com). If you have a Facebook account, you can join by writing a note through your account. Just make sure that the viewing options of your note is set to "Public". Deadline for registration for the carnival is on September 24, 2012. Posting instructions and carnival rules will be e-mailed to all participants on September 25 and the carnival will go live on September 30, 2012. PLEASE POST ON September 30, 2012, beginning 12MN. Please write about the theme provided. We currently do not moderate or screen posts but we do reserve the right to exclude your entry from the list of carnival participants should your post be offensive, irrelevant to the carnival theme, contain personal attacks, off-topic articles, articles that are anti-breastfeeding or are articles that are aimed to market products or services. Kindly note the deadlines and please POST your entries on September 30, 2012. The deadline of 24 September 2012 is also strictly observed for REGISTRATION. *You can begin sending blog URLs on 25 September 2012 for inclusion in the carnival list by e-mailing Jenny and Mec. We will only include the links of those who e-mail us so please do not forget to e-mail us the URLs.